What is Web Hosting? Types of Web Hosting What is Domain Name? How to select the right web hosting provider? Internet is an amazing medium that grants access to websites from any location and at any time. We often wonder about the exact location of website hosting facility and how it is possible to instantly access a particular website from among millions of other websites in World Wide Web. In order to appreciate the whole process of website hosting or web hosting, we need to dig deeper to understand some of the basics of web hosting such as types of web hosting, domain names, and criteria for choosing the right web-host. Web hosting is a process of storing a website in the form of web pages and files on purpose built computers that are called as web servers and enabling access of stored data to users through internet. The entire operation of web hosting is carried out in a special facility that is called as data center. Web hosting is typically offered as a service to enable online visibility of websites by renting the hardware and networking capabilities of data center. When a user types the website’s name into the browser, the request is sent to the specific server that hosts that website and is fulfilled by delivering the requested web pages or any other content such as audio, video, image, or text files. In order to ensure round the clock availability of websites, the facility of data center is equipped with redundant supply of power and network connectivity. Protection of valuable equipment and mission critical data is ensured by multiple layers of protection that cover physical as well as network security. Shared hosting helps multiple websites share the resources of a single server and is the most affordable web hosting service due to the multi tenancy feature. Number of websites in a single instance of shared hosting can range between hundred and few thousand websites. This setup is appropriate for websites that are not expecting huge volumes of traffic and do not handle sensitive information. This is because it does not guarantee availability of resources needed to handle large volumes of traffic. Shared hosting also suffers from lack of security that is needed to handle confidential information such as customer data, online transactions, health records and credit card information. Every domain that is hosted in shared hosting environment needs to share CPU and RAM with thousands of other domains. Shared hosting is highly regarded as the most ideal choice for beginners. VPS hosting allows use of a virtually dedicated server by vertically dividing a large server into several virtual servers so that every server has its own CPU and RAM. This is possible due to state of the art technology of server virtualization. Users of VPS hosting can enjoy many benefits of a dedicated server even though they are required to share the server hardware. It is the most logical upgrade from share hosting due to its superior resource allocation and facility of root access to server. Users can choose their own operating systems and also configure the server specs according to their needs. It is also possible to add firewall, install new software, and special application in a VPS hosting environment. It is right for growing web sites that need to run new applications and need a private hosting environment at highly affordable costs. However, VPS hosting may suffer from resource crunch due to the multi tenant environment and website may need to find a much better option such as dedicated hosting. This is the king of all types of web hosting and users can simply enjoy total autonomy of a single physical machine that is provisioned for their exclusive use. It is more expensive than VPS or shared hoisting and is usually preferred for special tasks or web applications that need to run in a private and secure environment. It is commonly used by large ecommerce stores, gaming sites, and large community forums just to name a few. With unlimited access to server configuration, users of dedicated hosting are free to add or remove resources, add custom applications, and build custom software. 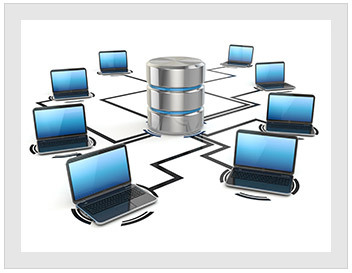 Dedicated hosting is also preferred to handle secure transactions. Cloud hosting is radically different than the traditional hosting because it consists of remotely positioned multiple servers placed in geographically separated locations and networked together to provide all resources required for running web applications. 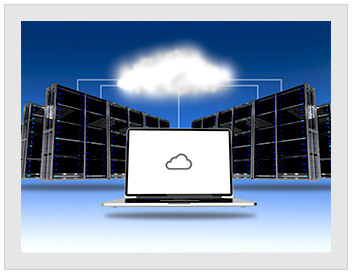 The arrangement of networked servers is referred to as a cloud. Clients can commission or decommission cloud instances as and when required and can also dynamically scale resources in response to demands. Another major difference between cloud hosting and traditional hosting is the payment methods. While users are supposed to make annual payments irrespective of their usage in traditional hosting, cloud hosting enables utility payment module. A domain name is the specific name given to a website. It is a distinct name used for accessing the website through web browser. No two websites can have a same domain name. The assignment of domain name is done by the domain name registrar. You must be able to decide a proper domain name for website and confirm that the same is not already registered by some other user and then get it registered by paying the registration fees to domain name registrar. The registration process of domain name is governed by a highly standardized and strictly regulated process. There are stringent guidelines in force about eligibility criteria for availing Top Level Domains (TLDs). These are denoted as suffixes such as .com, .us, .in, or .org. There are hundreds of TLDs to choose from. You can be assigned a particular TLD, subject to satisfaction of various criteria. We will be looking at these in later part of the article. If your domain is mycomany.com, then you can go on creating sub-domains such as ceo@mycompany.com or sales@mycomany.com and so forth. There is no limit or restrictions on assigning sub-domains to the registered domain. Sub domains are mere extensions of primary domain names and are treated as sub folders or third level domains according the domain root directory. However, search engines do not consider sub domains as part of domains and rank these separately as if these were independent of primary domains. This the most important part of the process of ensuring online authenticity as well as identity of your website. It starts with a proper understanding of the purpose of your website and how you want your visitors to remember its online address. The domain name should have a correlation with your business. An ideal domain name has a potential of becoming a brand by itself. It is always better to think of couple of domain names because the domain name of your choice may have been already registered by someone. You can think of some minor variations as well. Availability of the domain name of your choice can be ascertained by visiting the website of your registrar or looking up in WHOIS directory (We shall touch upon this later). You should instantly order your domain name if the same is available as per the search results. Amount of registration fee is different and is related with the type of TLD (Top Level Domain) you have chosen. Payment of registration fee can be made by using your credit card or any other common method of online transaction mentioned in the registrar’s website. Every domain name has a DNS record to store all relevant information related to the ownership. Once you are through with the process of domain name registration, you will have to change the DNS record. By changing the DNS records you can point the domain name to your web hosting to enable access of your website by entering domain name in the browser. If you imagine the World Wide Web to be a vast expanse of land, then your domain name is a tiny portion of the same. Hence, owning a domain name is as important as owning a real estate property. This analogy also explains why the process of registration is so complex and why some premium domain names can cost millions of dollars. Domain name registration involves submission and verification of detailed information about the prospective domain owner and his or her business. The guidelines of domain name registration are universally established and govern all registrar agencies. The global regulator of domain name registration process is ‘Internet Corporation of Assigned Names and Numbers’ (ICANN). The organization acts as global governing body to ensure that all registrars, web hosts, and clients adhere to the best practices determined by the regulator. The registration needs of domain names depend on multiple factors. Top level domain of .org can only be used by organizations and country specific domain names such as .au or .uk can be registered only by citizens of those countries. These guidelines must be followed strictly. If there is a deviation from the set guidelines, then the domain name will be released into the pool of unclaimed domain names. 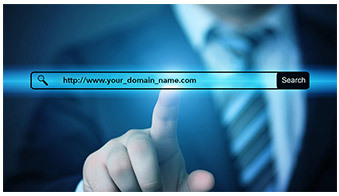 This underlines the significance of stringent compliance with the guidelines governing Top Level Domain Names. You should also exercise utmost care while furnishing information about your web host during submission of DNS and MX record information. This information is vital for precise navigation of the user’s request to a particular server’s content. Incorrect information regarding the host can lead to page loading errors when your visitors will be trying to access your website. We have already seen what TLDs are and also touched upon some examples of TLDs earlier. Country Code TLDs are referred to as ccTLDs. These are formed by using letters that are part of the names of different countries. Hence ccTLD of US is .us and that of Australia is .au. We can go on listing hundreds of ccTLDs such as .br, .ng, .id, .vn, .cn, .in, .ru. Can you guess names of the countries these TLDs are associated with? There is a special TLD for educational institutes such as universities, colleges, and schools and it is denoted as .edu, similarly if you need to differentiate your business website then there is .biz for you. The most interesting type of TLD is generic TLD or Gtld. You can use these highly creative TLDs to specify your business domain. Some examples of gTLDs are .FOREX, .COLLEGE, .BAR, and so forth. There is even a gTLD by name XYZ.com, interesting, isn’t it? Domain name of a website is actually a resource for accessing the company’s information in terms of physical address, name of the owner, email address, contact number, and period of registration along with expiration date. It is mandatory for every domain owner to make this information clearly visible in WHOIS directory. WHOIS record is collection of accessible information related with owner of the website and associated business as the case maybe. It provides in depth information about concerned persons as required by Internet Corporation for Assigned Names and Numbers (ICANN). Access to this information is open to every individual by a simple process of WHOIS lookup. However, you can avoid publicity of your personal information by opting for domain privacy facility. It is particularly used to prevent hackers or cybercriminals from misusing the information with a mala-fide intention. Travelling on the highway of internet is much easier if your website is backed by optimum bandwidth. Bandwidth determines the total amount of data that can be transferred during a specific time period. Therefore one must ensure during choosing a hosting plan that sufficient bandwidth is allocated to ensure smooth operation of website. Data transfer is the actual traffic that is flowing on the highway. The analogy of highways used only to simplify terminology. Bandwidth can be compared to the number of individual lanes on highway. You can drive your vehicle faster if there are multiple lanes on the highway. Similarly, lower hosting bandwidth can hamper speed of website and may lead to slow page loading. When you are transferring files from your local machines to another remotely located computer via Internet, you are actually using a network protocol called as File Transfer Protocol or FTP. There are many FTP clients that help connect you to servers with help of File Transfer Protocol and facilitate online file transfer. Some of the most sought after FTP clients are coreFTP, SmartFTP, and FileZilla. One can upload or download files by leveraging FTP clients. How to select the right web hosting provider? Selection of right web host for management of web projects is a critical factor to ensure seamless performance of your website. There are multiple factors to consider before you arrive at the final choice. Ideal webhost is able to offer SLA backed guarantee of 99.99 percent uptime. It is also important to assess location of data center in terms of safety from natural disasters. Potential web host must be able to offer round the clock technical assistance through multiple modes of communications such as email, phone, and live chat facility. If you are going to consider managed dedicated hosting plan, then it is essential for you to know the extent of server management offered by the host. Generally the payment terms are annual subscriptions and customers may be offered facility to pay in easy installments. Scalability is one of the most important factors to examine and one should also check the terms of migration to higher hosting plans. Some hosts offer ease of customization and clients can customize their hosting plans according to specific needs of hosting. Ideally, you should settle for hosts that have long years of experience and well established reputation. 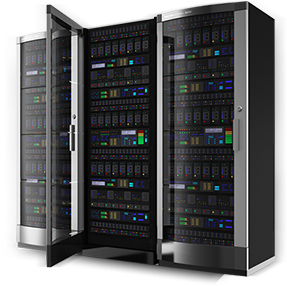 The web hosting provider should own and operate data centers in multiple locations. Security is an important aspect of web hosting since you are going to store business critical data. Established webhost ensure six zone security measures including physical and network security. There are multiple sophisticated access control systems supported by mantraps and biometric scanners to prevent unauthorized access. Data security can be assessed by examining backup protocols and disaster recovery arrangements put in place by the web hosts.